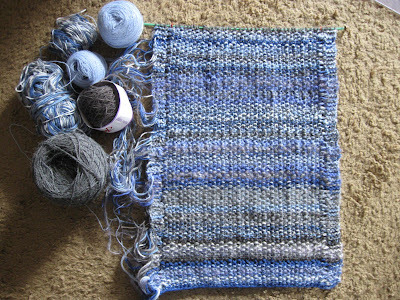 2012 Sky Scarf: January and February skies. Here are two months of skies in my 2012 Sky Scarf project. March came in more like a lamb than a lion with dappled skies... and self-patterned yarn of faded denim blue, creamy white and steel blue.